Happened between about 12.15 BST and 12.30 BST on Thursday. The offender was described as a white man in his teens or early twenties. He was wearing dark-coloured clothing and trainers. Det Insp Penny Mackenzie said: "I would ask anyone who visited the Legoland Windsor Resort yesterday [Thursday], especially if you went to Castaway Camp in Pirate Shores, to check any photographs from your trip to see if you recognise anyone matching the offender. "Such offences are extremely rare and we are working closely with Legoland to identify the suspect." I really find this news appalling. I hope they catch this scum and he gets what he deserves! I hope justice comes down hard on him disgusting pig. ^ That's quite a thread. In the interests of clarity, I'm only posting the story above to ask anyone who was around during the right time frame to check their photos like the police inspector mentioned. I'm not trying to prove a point, or make any statement. I was wondering how long it would take someone to bring up that old thread. Ow gosh, I remember that old thread. Ugh! I think it boiled down to, if we want 100% draconian prevention, why not ban older single males from everywhere where there might be children, toy shops, theme parks, swimming baths, why not stop there, high street coffee shops, etc etc. It got ridiculous. From a civil liberties and human rights point of view, you simply can't do these sort of bans, and I am guessing if you did or are currently applying one, you would comfortably lose if challenged in court. I say all this as a very careful parent. Of course that incident was horrendous, and the additional sadness, over and above the obvious victims, is it lends more weight to people wanting to label groups of innocent people. ^ Are you trying to reignite the same old arguments? Seems like nothing good can cone from that. While this is a serious topic and it deserves serious discussion in the appropriate place, I feel like this incident really has nothing to do with LEGO, other than the coincidence of having happened at a Legoland park. It could just have easily (and these things do) have happened at any other kind of place or park. Many of us come to Brickset for fun and enjoyment and a break from the awfulness of a messy real world. This thread has now lingered at the top of the forum for over a day now. 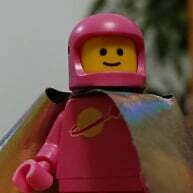 Since there is no other pertinent LEGO-related discussion that can occur on this topic, perhaps we can all be so kind as to stop posting, and let it sink into the history of the forum. My fault. I posted the old thread, but I didn't resurrect it. I misread the intention of the post. Sorry. Hi guys. I'm sorry if I shouldn't have posted the story, but I thought that the chances of someone from this forum visiting the park on that day and maybe being able to help was high enough to make it worthwhile. Again, I have no agenda and do NOT wish to drag up old arguments. @Huw @drdavewatford please close. To be clear, you have nothing to apologize for, and the motivations were pure. I just think it should have ended there without devolving into a pointless rehashed debate that serves the secondary purpose of keeping this awful news top of page. Guy from Bracknell has been arrested and now in custody. ^ i got the same notice on Google Now. Can't bring myself to 'like' this, but I am really really glad. My youngest child is six.